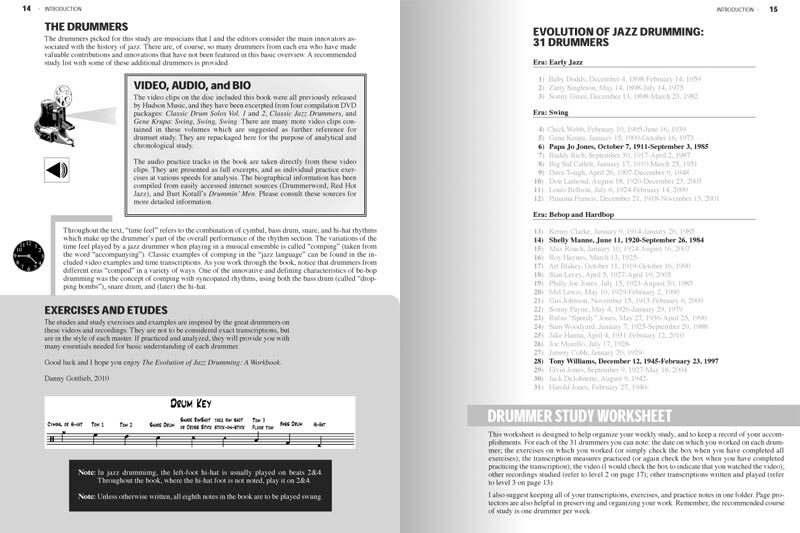 The most complete and comprehensive historical analysis of the drummers who created and defined modern jazz drumming in print. 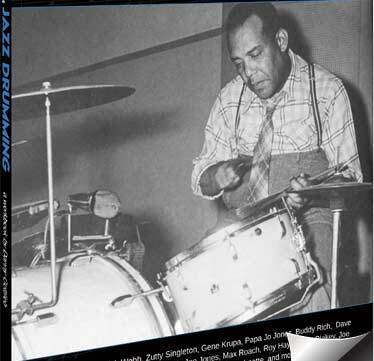 Featuring Baby Dodds, Sid Catlett, Dave Tough, Max Roach, Buddy Rich, Roy Haynes, Elvin Jones, Tony Williams, Mel Lewis, and many others. 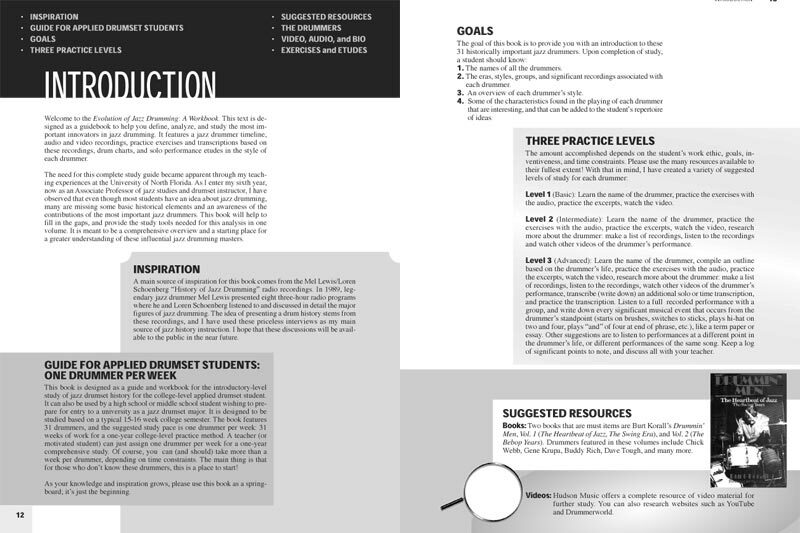 The Evolution of Jazz Drumming is a guide and workbook designed by author Danny Gottlieb to be studied based on a typical 16-week college semester. 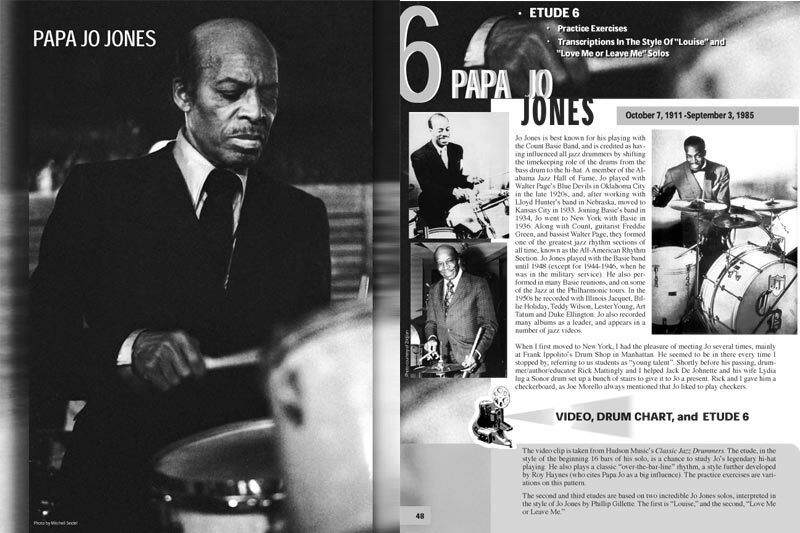 A legendary and influential jazz drummer is studied during each of these weeks. 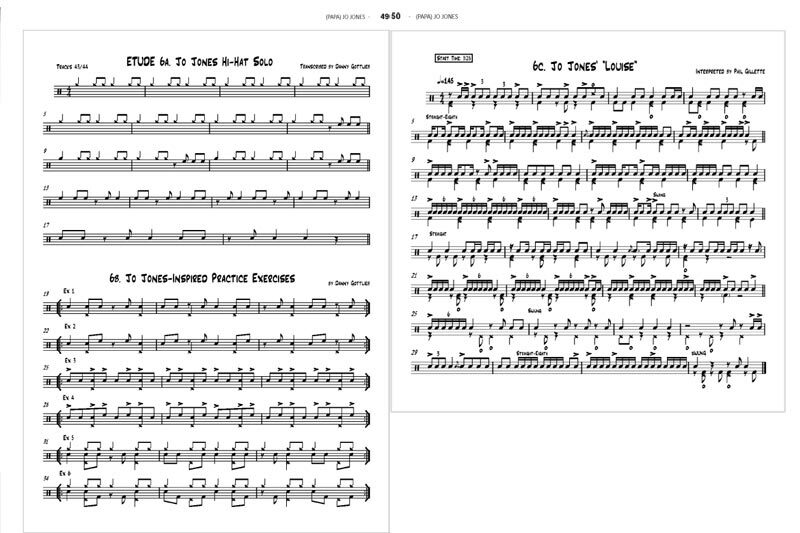 31 jazz drumming legends are examined with musical analysis including practice exercises in the style of the subject's drumming, transcriptions of both solo and time playing, and etudes that examine the work of each artist in unprecedented detail. Each profile also includes a complete biography, personal anecdotes from the author, and dozens of exclusive and rare photos, many of which have never appeared in print before. 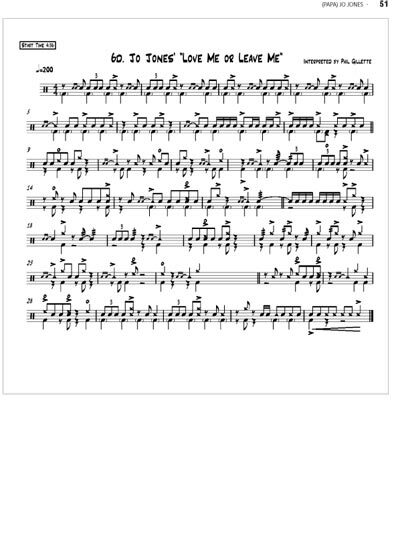 The book includes a DVD of classic video clips of many of the drummers, as well as an MP3 disc with over 300 tracks of exercises and etudes from the book recorded at various speeds that can be looped for analysis and practice.